There are few places on earth not affected by plastics pollution. 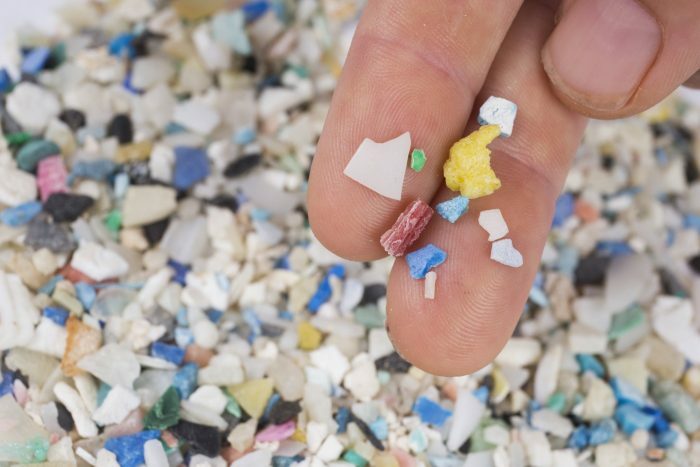 The oceans are overflowing with minuscule microplastics, which are eaten by fish. The beaches are littered with microplastics, too, where they become unwanted condiments for land animals seeking a meal. Organic fertilizer helps cut down on food waste, but it may be worsening the problem of plastics pollution. Good Intentions Not Good Enough? In Europe, many people collect food waste to transform it into organic fertilizer, and the practice is growing in popularity in the U.S., too. The packaging, not the food waste, is contaminating organic fertilizers with plastic, only later to contaminate waterways, according to Ruth Freitag, a chemist at the University of Bayreuth in Germany. Most people wrap the waste in a plastic bag, but Freitag said that by looking at the types of plastic that are being found in the fertilizer, she can tell that some of the contamination also comes from plastic food wrappers. Freitag and a team of researchers write in the journal Science Advances that they’ve found plastic in fertilizer made from food waste from both commercial and household sources. These microscopic plastic bits result from the composting or “biodigesting” of processes that morph organic waste into fertilizer. It’s a case of good intentions meeting a certain degree of laziness and a long-held repulsion to the idea of “naked” food waste. Because eventually, she added, the microplastics get washed out of the fertilizer that’s spread on land and make their way into waterways. Instead of creating a healthier environment, they contribute to the same planetary woes that many organic food growers and buyers are so passionate about ending. Rochman noted recently in the journal Science that she’s found microplastics in what comes out of sewage treatment plants. The “sludge” is sometimes used for fertilizer. In past studies, scientists found that organic pollutants that leach out of microplastics, including PCB’s, flame retardants, and polyaromatic hydrocarbons, transfer to the fish that eat them. What happens to the humans who eat the contaminated fish? Currently, there are more microplastics in the oceans than there are stars in the sky. But there’s reason to hope that humankind can get a grip on the problem and reverse course. For example, the U.S. Senate voted in 2015 to phase out the use of plastic microbeads in soaps, body washes, and other personal care products, starting in 2017. The UK also began phasing them out last year.